The trend has become a reality as more and more people use mobile devices for online searches. Visitors to CIMA’s website continue to grow this year and so has the percentage of viewers using mobile devices. 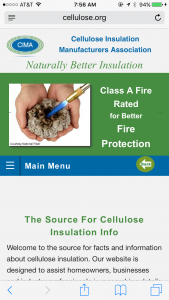 We are pleased to announce that a new mobile version of cellulose.org is now available. According to Lea, the association considered several options but in the end decided to create a completely separate mobile version rather than going with a one-size-fits-all design. 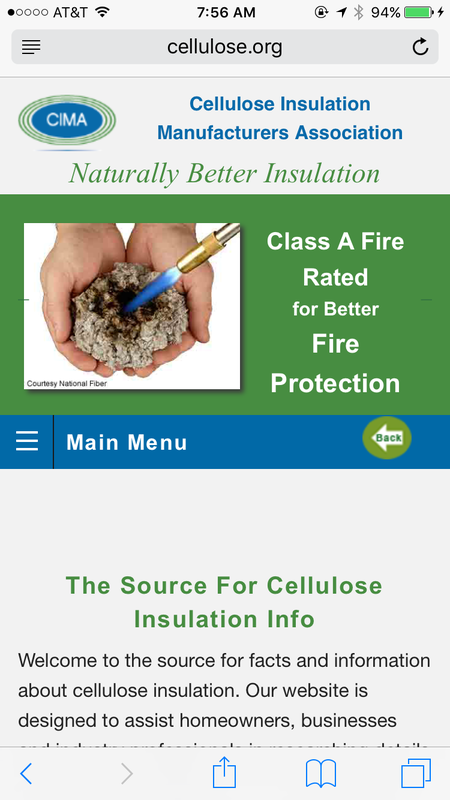 “Visitors come to cellulose.org in search of information that requires detailed explanation, in addition to images and graphics. The new mobile site allows for easier reading of text while also including graphic elements that are easy to manipulate,” said Lea. The new mobile version is automatically delivered now to anyone navigating the web on a smartphone or other mobile device.